Call today for any assistance you may need. We're here to make sure you and your family is taken care of in all their optic needs. Call today. Please take a look at the great offers we currently have available. 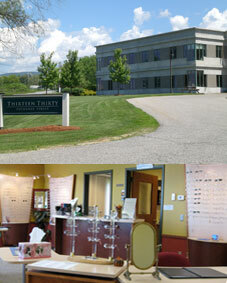 Your Optician in Middlebury, VT. Call us at (802)-388-4456 today. Welcome to Optics Ltd in Middlebury. Amjad Hayyat and the Optics Ltd team strive to provide the finest in optical services. We invite you to browse our website to learn more about our optical services, and invite you to join our patient family by scheduling an appointment at our Middlebury office. Optics Ltd is provider of fitted corrective lenses and frames and will take scheduled appointments as well as walk ins. Customers throughout the Middlebury area come to Optics Ltd because they know they will receive the personal attention and professional care that is our foundation. Hayyat and our team are dedicated to keeping our patients comfortable and well-informed at all times. Additionally, at Optics Ltd, we offer vision financing options and will work with vision insurance providers to ensure good vision care for all of our patients. Our one-on-one approach to optical makes Amjad Hayyat and the Optics Ltd staff the eye and vision care providers of choice in the Middlebury area. For a complete list of services, visit our services page or call our Middlebury office at (802)-388-4456. At Optics Ltd, we are dedicated to providing high-quality optical services in a comfortable environment. Call us at (802)-388-4456 or schedule an appointment today online. Stop by Middlebury Optics and check out our full range of prescription eyewear and sunglasses. With a lab on the premise, we are your one stop shop for eye exams and ultimately choosing the glasses or contacts that are right for you. Choose frames from a wide selection of designers including Bolle, Oakley, Serengeti, Nike, Candies, Guess, and many more. For outdoor enthusiasts we offer prescription sunglasses as well as goggles so you can see clearly on the slopes and on the lake! We offer quality, affordable eyewear with the benefit of an incredibly friendly staff. Then let Mahmoud, Widad or MJ help you find the glasses that are best for you and your budget. "Excellent! i visited 2 other optics shops with trying to repair my prescription sunglasses. the other told me the frame was no longer available (the usual story), Optics Ltd. worked with me to locate the perfect existing frame which would fit the old lenses! also gave me a healthy "pity" discount for all the trouble i had in this experience elsewhere. Perfect"